The uber retail store and New Zealand designer have teamed up for the second time to create a range of children’s T-shirts in support of the Starship Foundation. World has designed six different T-shirts which are available in sizes infant to 16 years. Five dollars from every T-shirt will go towards the Starship Foundation. The proceeds will particularly boost Starship’s air retrieval service, which airlifts more than 200 young patients each year to the children’s hospital. I got a couple for me from the last lot, designed by world so the bigger sizes certainly fit buxom adults too. And of course the Breast Cancer t-shirts for 08 are out at Glassons. I got the rather lovely one designed by Ruby with the big pink flouro heart. Cos I am emo. 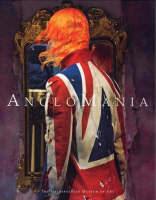 For more fashion stuff, I recommend Anglomania. It’s a weird un … historical costumes in conjunction with 20th and 21st century fashion – staged in vignettes set in period rooms at the Metropolitan Museum of Art. The mannequins who wear the costumes are a bit scary, like the clockwork characters in the Doctor Who episode The Girl in the Fireplace. I’ve got the perfume Anglomania by Vivienne Westwood, and her style is all over this book. I know Valentine’s Day has been and gone, but NME brings you some of music’s pretty boys to warm your cockles. Hear hear to Serge of Kasabian who looked delish on Later with Jools Holland last night.And am listenin to Howlin’ Pelle Almqvist of The Hives as we speak … (Throw it on me with Timbaaaaland). On the visual entertainment front, we are fully immersed in So you think you can dance Australia. Unlike the tedium of other talent shows and Idols, these people are quite incredibly talented. It is down to top 20 now, so the standards are ultra high. Breakdancers, poppers, Latin, Ballroom, jazz, it’s all in there. We are watching the series Robot Chicken as recommended by one of the dudes at our local Video Ezy. Stop start animation and fast paced furious humour, and one of the creators is Seth Green of “Family Guy” fame. It massacres all your favourite pop culture stuff from Star Wars to the Muppets. In love in love.